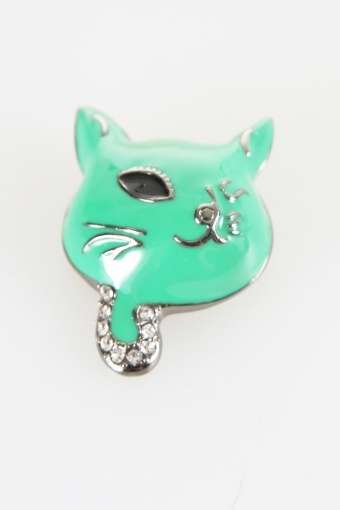 Green cat brooch From Paris with Love! a must have for all the catlovers. This brooch is made from dark green-gold coloured metal, a black coloured eye and strasstone details. Also available in pink, black and white. Attention! 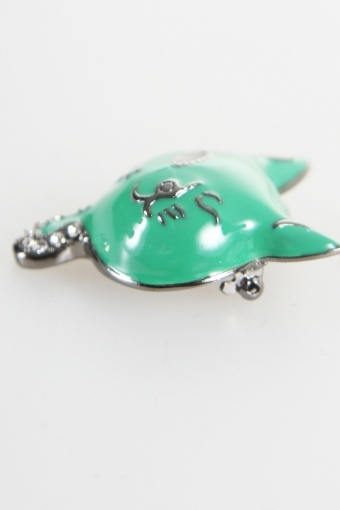 The brooch seems brighter on the picture, colour is dark green!